Empower Hour is a study/helping group after school on Tuesdays and Thursdays in the Nottingham Media Center. It’s a place where you can go after school to get some work done and get the help you need. They have tutors there to help you with whatever you need help with. You can even become a tutor yourself. All you have to do is show up on either days and ask for help with whatever subject you need help with. There is always someone there who can help you with subjects like Spanish, Italian, Creole and German. 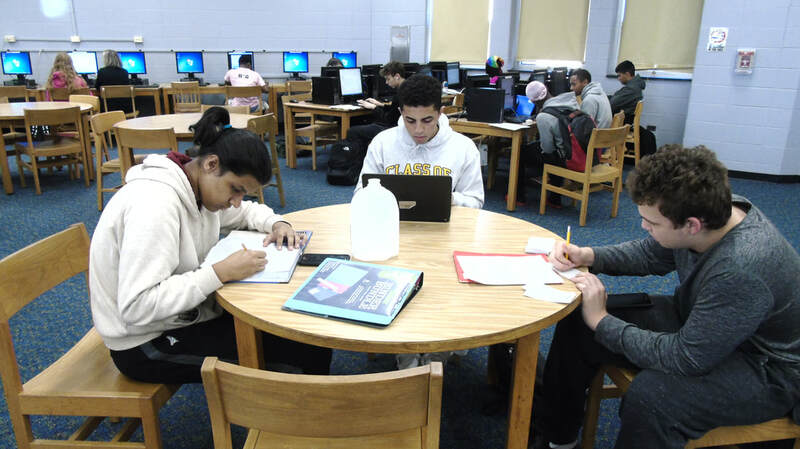 The students spend an hour on any of the following: homework, and studying for standardized test like the SAT, Accuplacer, and PARCC. Ms. White asked teachers, students and assistants to help and be tutors after school on Tuesdays and Thursdays from 2:40 p.m. to 3:40 p.m. I was also given the stats from our media center specialist Ms. Marissa Santiago who is also a huge help with Empower Hour. Many kids come here to study and get help - 33% are tutors and 66% are students who receive tutoring. Math teacher Ms. Betty Manzano has kids that come in and study with her and come to get organized. Ms. Manzano said, “There are no excuses at Nottingham because there is help here.” Ms. White is currently working on getting late buses for the kids that don't have a ride home and can’t stay.